SBI chairman Rajnish Kumar has already made it clear that "nobody is barred from bidding or taking over the airline" as per the rules. Jet Airways does not come under the Insolvency and Bankruptcy Code. 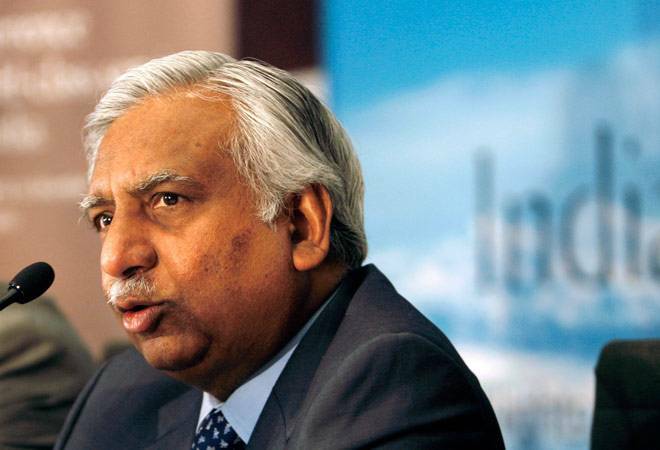 Less than a month after Jet Airways founder Naresh Goyal was forced to step down from the board of the beleaguered airline, he has made a play for a re-entry. Shortly after the deadline for the bidding process for Jet Airways' stake sale ended on April 12, Goyal reportedly submit his Expression of Interest as part of a consortium. The lenders to the airline had offered ownership between 32.1% and 75% in the airline, seeking to recover dues worth over Rs 8,400 crore. The initial bid submitted by Goyal's general sales agency (GSA), Jetair Pvt Ltd, is backed by Delaware entity, Future Trend Capital, The Economic Times reported. Jetair, founded in 1974, had represented 17 global airlines before it gave birth to Jet Airways in 1993. Adi Partners, a London-based firm, is reportedly also associated with the consortium. However, the EoI came in at 6:08 pm, eight minutes after the deadline, which might hurt Goyal's chances. Jet Airways reportedly does not come under the Insolvency and Bankruptcy Code (IBC), which bans promoters from bidding for their defaulting companies. SBI chairman Rajnish Kumar has already made it clear that "nobody is barred from bidding or taking over the airline" as per the rules. "It could be financial investor, it could be airline ... including Naresh Goyal himself or Etihad," he said last month. SBI is the lead lender of a consortium of 26 domestic lenders that took over the reins of the crumbling airline last month as part of its revival plan. "Technically, there is nothing that stops Goyal and his associates from bidding. The forensic report has so far not gone against him," a banker told the daily, adding, "But after being almost nudged out from the board and management, it's a call the bankers would have to take." Although there isn't any publically-available information on Goyal's partner Future Trend Capital, the entity is expected to boast deep pockets. After all, according to the conditions in Jet Airways' bidding document, interested investors need to have a net worth of Rs 1,000 crore and allotted funds of Rs 1,000 crore more to invest in the airline. Several other entities have also submitted expressions of interest in the stake sale, including Etihad Airways, which owns 24% of Jet Airways and is the second largest stakeholder, TPG Capital and Indigo Partners. But the Gulf carrier has reportedly made it clear that it does not want its stake to touch 25% as that would mandate an open offer to minority shareholders of airline as per SEBI's takeover code. Moreover, a foreign carrier can neither hold over 49% in a domestic airline, nor effectively control it. Hence, it is being speculated that lenders to Jet Airways may opt to bring in multiple, unconnected investors and keep a check on each party's stake. "Investments by Etihad Airways, National Investment and Infrastructure Fund, and a private equity fund like TPG Capital or Indigo Partners - with each holding 24% or less in the expanded equity pool - could be a way to avoid an open offer," said a source. Meanwhile, the airline's operational crisis continues to spiral out of control. It is operating just six ATR turboprop planes and one Boeing 737 on its local routes currently while several lessors are planning to apply to the DGCA to de-register their already grounded planes. Then there are the disgruntled employees, many of whom have not received salaries since January. Jet Airways pilots body, the National Aviator's Guild (NAG), on Sunday deferred its "no flying" call to a later date, in light of the crucial meeting between the management and the lenders today. Much now rides on the latter's decision to release the promised interim loan funding of around Rs 1,000 crore - which was a part of the revival plan for the airline drawn up by the SBI-led consortium - without delay to help the airline stay afloat. "Jet Airways has every chance of survival provided banks give the much-needed interim funding," Manish Raniga, an independent aviation consultant and former vice president of Jet Airways, told the daily. "Failure to do so will impact customer experience and add to the list of turnaround activities required to stabilise the business for long-term viability. Potential investors may find Jet less attractive if operations worsen."